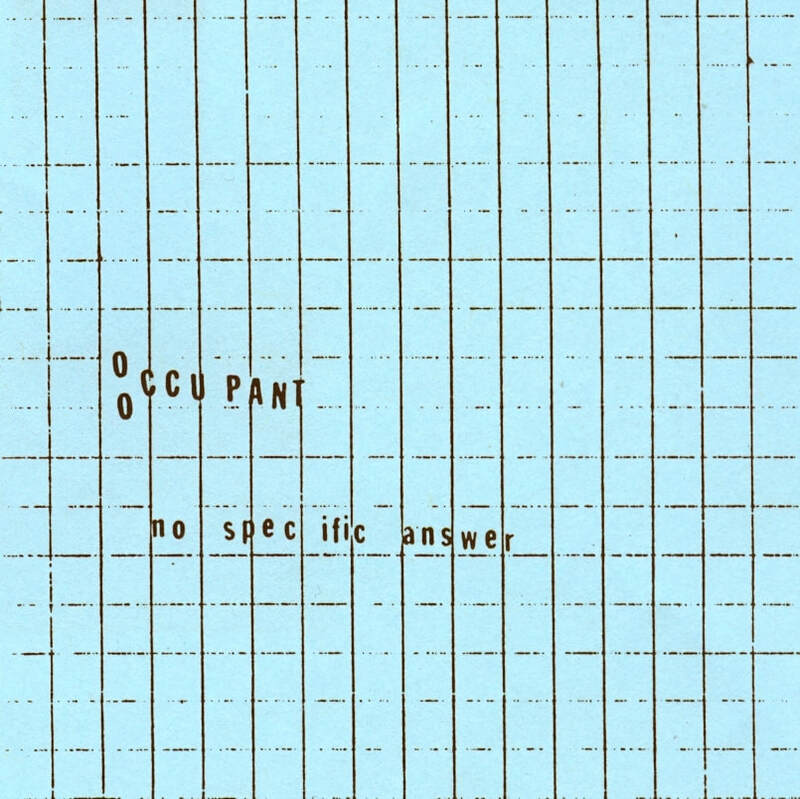 No Specific Answer by Occupant is an obscure title in my catalog of releases. Minimalist, pulsing, drone-based electronic music that slowly changes over time. Repeating, slowly-evolving phase pattern music created with a Casio MT-11 keyboard, Moog Synthesizer, and a small amplifier - along with some experiments in feedback modulation. Not exactly ambient, because it contains abrasive textures. The music here pre-figures several of my later releases of aggressive minimalist electronics, such as Deep Space Search Engine. Occupant was a one-off solo side project - kind of proto-Dog As Master. "For a limited time only we have drastically reduced the price of this excellent cassette of electro-industrial drone/trance music so that more of you can get to hear one of the very best releases of 1984. NO SPECIFIC ANSWER has received praise from Richard Franecki of F/i and An Bene and A Produce of Trance Port Tapes. Ranging from ambient/serene to harsh and abrasive the long pieces on this C90 were built up from multi-layering and manipulation of synth sequences and electronic patterns and pulses. If you are into minimal dronelectronics you will want to get a copy of NO SPECIFIC ANSWER." 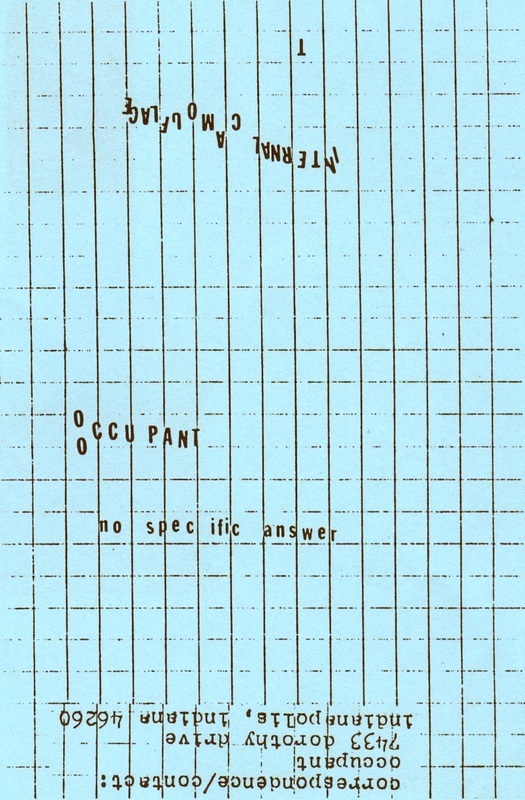 Review of NO SPECIFIC ANSWER from Objekt zine, August 1984. Review by Brian Ladd, layout by Julie Frith.